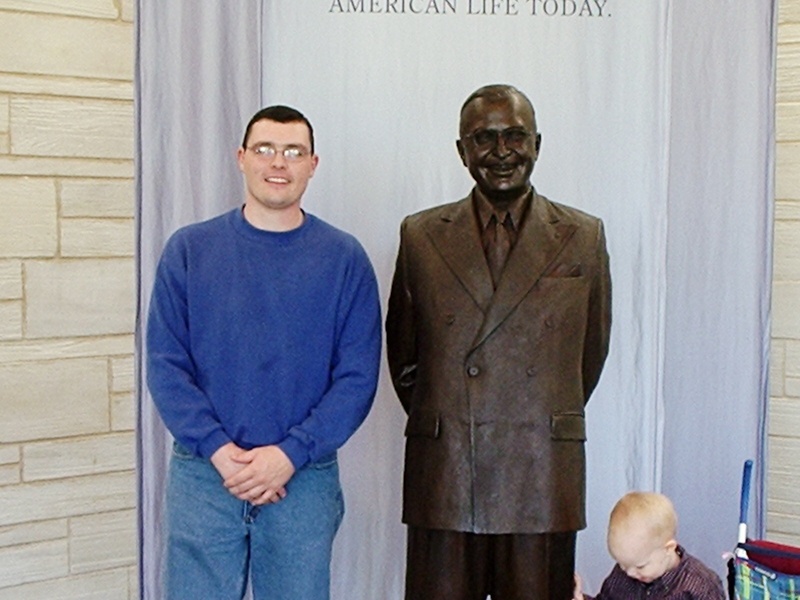 Today, for “Throw Back Thursday”, I’m sharing some photos from our visit to Harry S Truman’s home in Independence, Missouri. 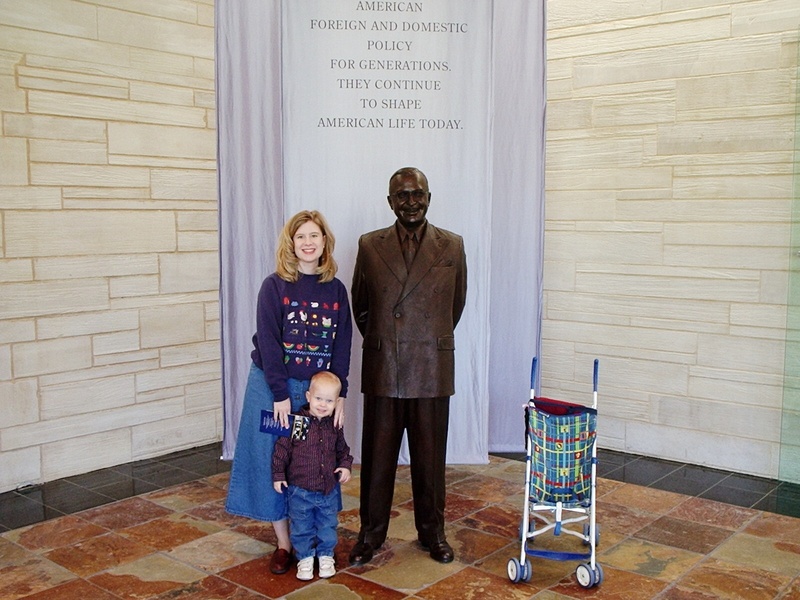 We lived in Lawrence, Kansas, in 2004, which is about an hour away from the Truman home. After Terry and I visited Monticello in 1999, we became hooked on trying to see as many Presidential homes as possible. While living in Kansas, we were able to see Eisenhower’s and Truman’s. I am almost certain that I’ve never shown the following photos to anyone. In fact, I can’t even remember developing them! One thing is sure, they are *terrible* photos. I am not a great photographer now, but man! When I look at these pictures, I hang my head in shame. Ah, well. I still treasure the memories – which are pristine – that these grainy, crooked photos represent. Terry took this one, so it’s not bad. I was 26 years old here. Seems like yesterday! My wonderful husband! We both love books and history. It’s so nice to have things we enjoy doing together. Bess and Harry were buried side-by-side. 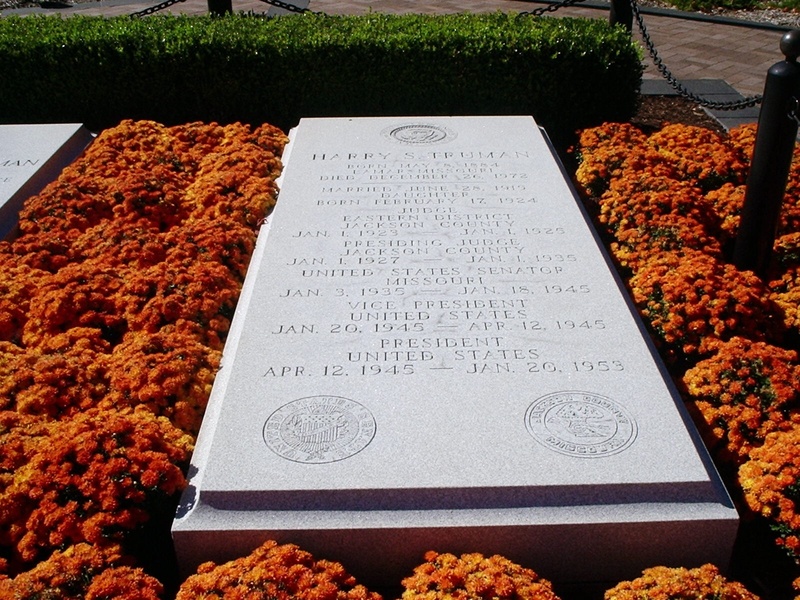 Their tombstones list their accomplishments while on this Earth. 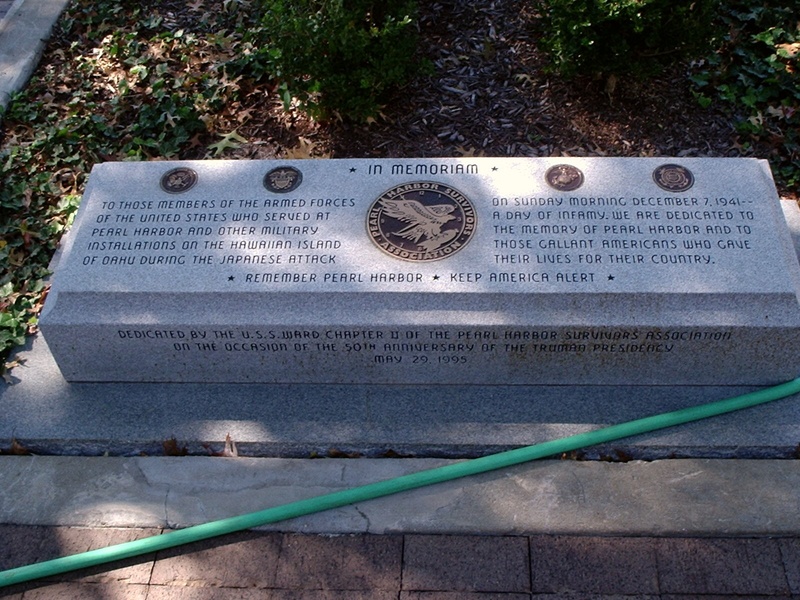 Pearl Harbor Memorial at the Truman home. 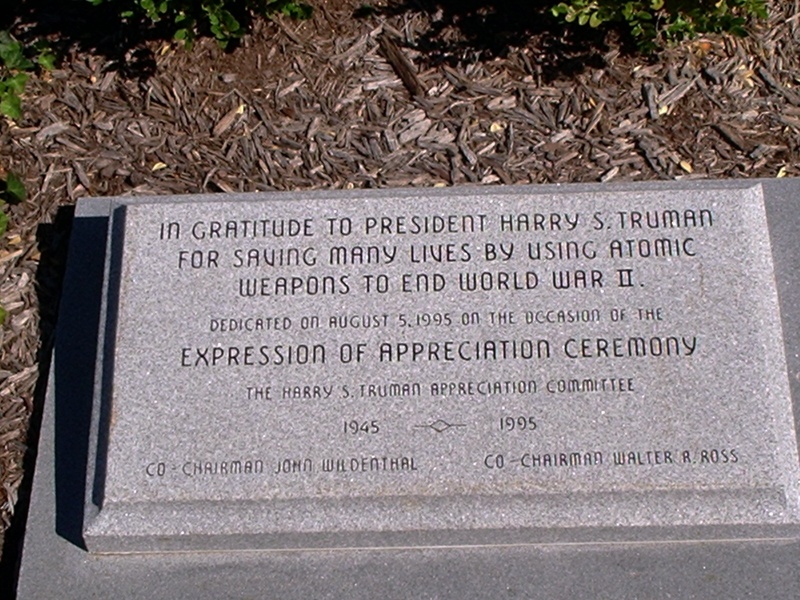 Memorial to honor Truman’s decision to drop the atomic bomb. What a hard decision that was for him! 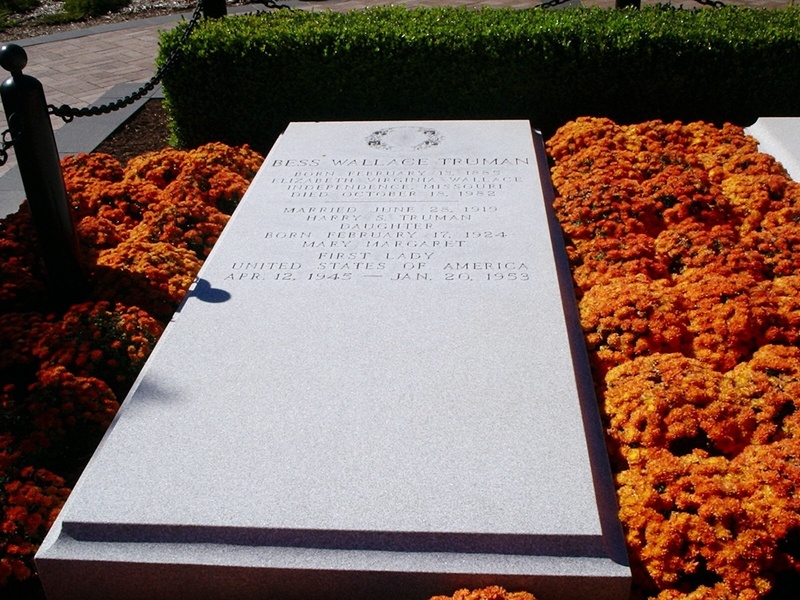 In the years following our visit to Truman’s humble home, I have read about him. The biography by David McCullough, simply titled Truman, is an excellent account of his life, both public and personal. He was a man of integrity and loyalty. 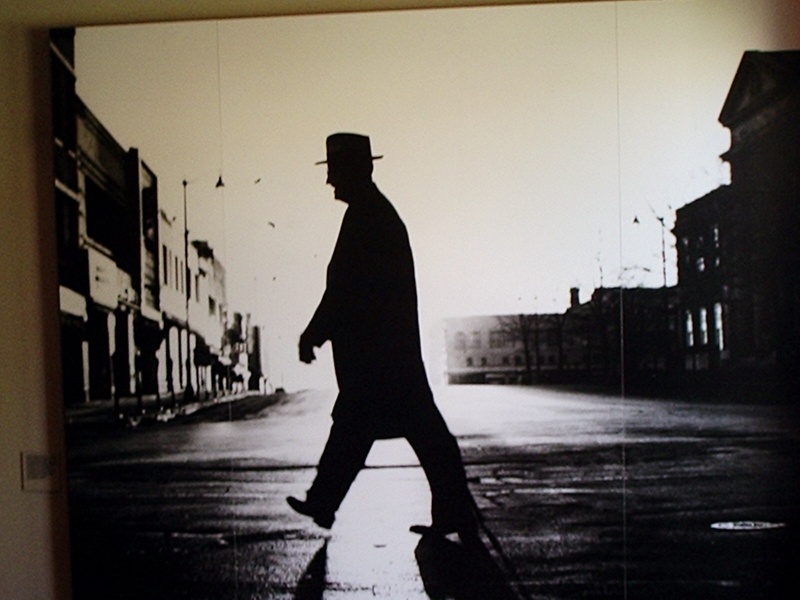 He was not wealthy (in fact, his business failed) nor was he a college graduate. Yet, by acts of Divine Providence, Truman rose to become President of the United States during a time of great upheaval. If you need proof that God governs in the affairs of men, just read about Harry Truman. It is God Who lifts up kings, and casts them down. Thanks for traveling back in time with me, and for looking at these old photos. I toured the Truman home with you. That was a good experience. I remember thinking how simple and unpretentious it was. Yes, you went with us the second time we visited. It was a lot of fun!